Joseph Coughlin has been director of the MIT AgeLab ever since he founded it in 1999. In his new book, The Longevity Economy, he contends that old age—much like childhood, adolescence, and gender—is a social construct, and a modern one at that. Coughlin argues that the invention of this construct is a matter of the changing impact of pathogens. Infectious diseases had been indiscriminately killing people of all ages since populations concentrated in cities during the Neolithic Revolution 10,000 years ago. But once the germ theory of disease took hold in the late 19th century, public health initiatives improved hygiene. When antibiotics were discovered and exploited, humans were able to conquer these killers for the first time. As modern medicine continued to improve, it was able to combat more and more conditions that had historically killed people before their prime (like cuts and childbirth). The only thing medicine couldn’t cure was age. Now that pathogens' impact is limited, the only people who routinely die are the elderly. But the association with death and reminder of mortality are not the only things imparting a negative view of aging. The idea of “retirement” made a lot of sense when Teddy Roosevelt instituted it in 1904. It achieved two things: it spared the aging bodies of Union Civil War vets from difficult physical labor they could no longer perform, and it gave them a pension to maintain their dignity and standard of living. But now, forcing people to retire from work they are still perfectly capable of doing at age 65 means that the rest of us may be tempted to see older people only as a useless, nonproductive drain on society. Since human lifespan has increased so dramatically over the latter half of the 20th century—thanks to the aforementioned medical advances—there are SO MANY old people around, and they have many, many more years to fill than they used to. Coupled with the falling birthrates across most of the developed world, this means that, by 2050, the demographics of the industrialized world will look more and more like Florida. Older people—specifically older consumers, the bulk of whom happen to be female—don’t see themselves only as patients and takers. They see themselves as the three-dimensional humans they are and have been their whole lives. They see themselves as people with the same wants, needs, desires, and aspirations as everyone else. Coughlin’s problem is that there are few products, especially tech products, out there to help older consumers fill those wants and needs. Even worse, there are none on the horizon—no one is making them, or knows how to make them, or is that interested in making them. The people who make tech tend to be young and male, and they try to fit their own needs. The people who fund the people who make tech only want to fund Mark Zuckerberg clones. Luckily, The Longevity Economy sees a ray of hope: the baby boomers. This cohort, he notes, has shaped the manufacturing and marketing world at every stage of their lives. They’ve demanded—and gotten—what they want by dint of their enormous numbers. People who don’t see themselves only as patients are not going to buy products touted only as medical aids. Old people know that it’s not cool to be old, so they will shy away from things that pigeonhole them. The products that will successfully capture the growing older market are those that will help them. But, The Longevity Economy argues, these products will help everyone else, too—and they will be flashy enough that everyone will want them. Coughlin offers some examples: Oxo utensils and tools, which arose because the arthritic Mrs. Farber was having trouble with her old potato peeler; they’re now ubiquitous because everyone finds them functional and design-y. A motion-sensing system invented by the MacArthur grantee Dina Katabi can sense when an older adult, home alone, has fallen, but the system does so without the user having to wear a medallion to publicize their vulnerability. Katabi’s set-up can also be used as a nanny cam or burglar alarm. The book also mentions hearables that can be used as hearing aids that are also headphones and Bluetooth headsets. Coughlin is enamored with the idea that younger people (falsely, obviously) see older people only as patients and takers—as “needy and greedy,” in his words. As a result, he says that businesses are therefore failing to provide the elderly with products that exhilarate and delight—they’re only helping them keep track of their pills. He is so taken with it that it shows up on virtually every other page of The Longevity Economy. It is definitely a fair point, but possibly one better dealt with in the (shorter) format of a New Yorker article. Like this one. 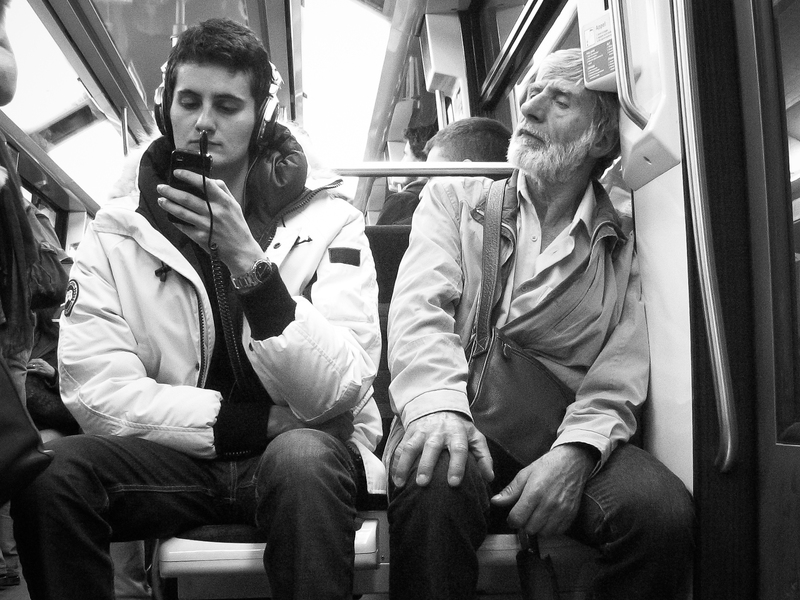 The post Do we need a tech boom for the elderly? appeared first on News Wire Now.